processes, financial processes, customer relationship management, email and document creation. Not to mention that you'll have to hire staff to maintain your infrastructure. One of the common misconceptions that business owners often have is that outsourcing any kind of service tends to be more expensive than keeping it in-house. In this case, it's just assumed that businesses that outsource are doing so for convenience sake. 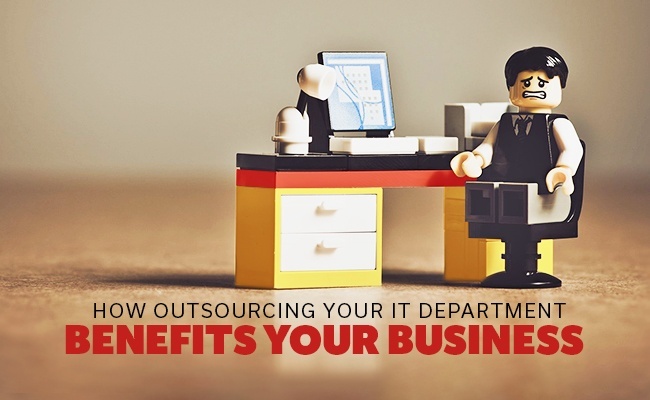 However, IT outsourcing can actually reduce your IT costs. This is due to the fact that IT services already have hardware, software and trained staff in place, which means that you aren't responsible for these costs. Instead, you're just paying for the services that they provide. Additionally, keeping your IT department in-house makes it difficult to budget because those costs fluctuate regularly. 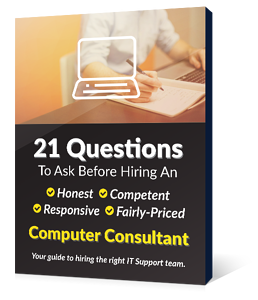 When you outsource your IT, you'll pay a flat monthly rate. Related Post: How important is a disaster recovery plan when you get hit by a virus? Even if you manage to implement an in-house IT department, staying up to date with all the latest IT solutions is going to be a challenge. Not only will you need a staff that is plugged into the IT world and can recommend new solutions that will help your business, but upgrading IT and implementing new tech is expensive. If you outsource your IT, the service you work with will have access to all the latest hardware and software, and will have the knowledge and experience required to recommend the most effective and efficient IT solutions for your unique business needs. If your IT is in-house, then any problems that arise, whether they be hardware failures, software crashes, malware intrusions or database corruptions - just to name a few, are going to be problems that you are going to have to find a way to solve. This can be both immensely challenging and expensive for small and mid-sized businesses. An IT service has the capabilities and know-how to mitigate such risks. Additionally, should anything go wrong, they'll have your IT back up and running in no time, which means you won't have to worry about major business disruptions. Even if you have a fully staffed in-house IT department, odds are you won't have the resources to monitor your IT environment 24 hours a day, seven days a week. Outsourcing to an IT service will allow your IT environment to be constantly monitored, which means that potential problems can be identified before they become major issues. 24/7 monitoring can help to prevent serious downtime from occurring. Instead of using resources on in-house IT, you can focus them on your core business. For example, instead of having to use resources to hire IT staff, you can use them to hire staff that will help to improve and grow your business. Even if you have the resources to set up an in-house IT department, there are many other advantages to outsourcing that you should consider. For information about improving your IT capabilities, contact us at Envision IT Solutions today.